Whether you're a large corporation or a small enterprise, you build relationships with customers. You tell them something about yourself with every contact. 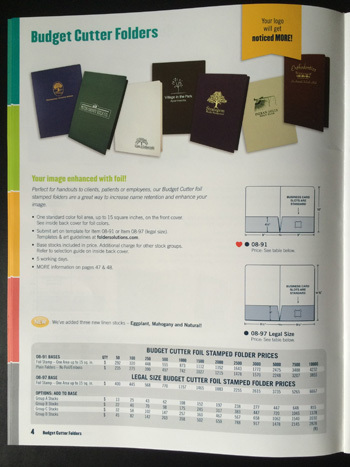 To make the best first impression, a folder is an excellent marketing tool. Before it's even opened, an expertly designed folder projects your style and professionalism.